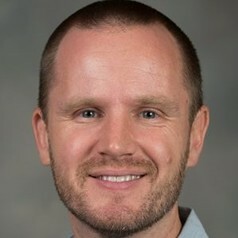 Jason Kirk joined the Elon faculty in 2008. His Ph.D. (2005) is in political science from the University of Pennsylvania. He previously taught at The Virginia Military Institute (2006-08). He developed an interest in India as an undergraduate, originally intending to pursue photojournalism, and spent a semester in Bangalore in 1996. It was an extraordinary time to experience this dynamic city, still early in its emergence as a center of India's IT revolution. The surprise nuclear tests by India and Pakistan in May 1998 (and a token of advice from his favorite journalist, Steve Coll) sealed his intent to pursue advanced study of contemporary India and South Asia. As a child of the late Cold War, he continues to have an interest in nuclear proliferation and deterrence, but his main scholarly interests are in the politics of India. His dissertation at Penn, on the evolution of World Bank assistance to India, laid the foundation for his book India and the World Bank: The Politics of Aid and Influence (London, New York and Delhi: Anthem Press, 2011, 2010).